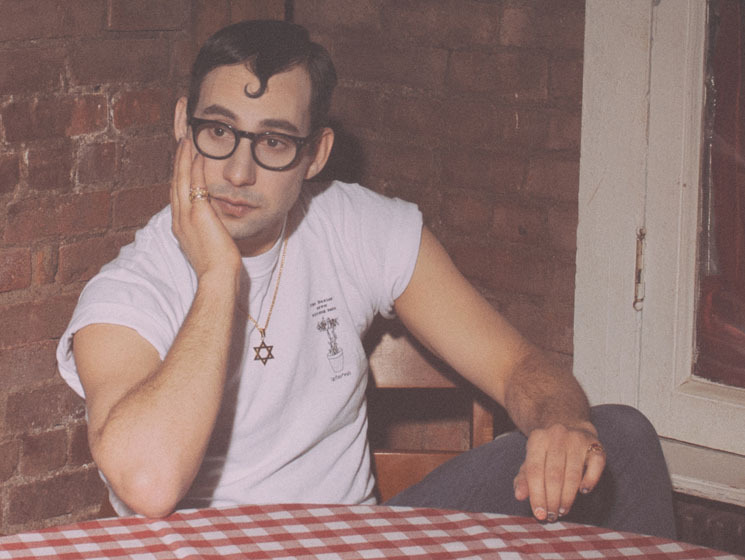 "I'm not seeing anyone lol"
Bleachers mastermind and pop producer extraordinaire Jack Antonoff recently made headlines for non-music related reasons — namely the end of his five-year relationship with Girls creator Lena Dunham. Now, he's taken to Twitter to defend his working relationships with a number of female friends and collaborators, and to deny a rumoured new romance. Us Weekly reports that Antonoff has "moved on" and "is seeing someone else," though as Spin points out, a previous version of the story claimed that an "insider" had also told Us that his alleged new love interest is a musician. Rumours began to swirl about Antonoff and his musical collaborators (just last year he produced records for Lorde, Taylor Swift and St. Vincent), prompting him to clarify his status on Twitter. Dismissing the rumours as "dumb hetero normative gossip," he defended his personal and professional relationships with female artists, calling them "deeply important and sacred." He added, "I'm not seeing anyone" with a "lol" thrown in for good measure. Lorde is among the thousands of Twitter users who have since liked the post. As reported earlier this week, Bleachers contributed a new song to the Love, Simon soundtrack, which is being executive produced by Antonoff. That release, which includes other previously released Bleachers tracks, is due out on March 16 via RCA Records. The project's last full-length album Gone Now arrived last year.